A playful refurbishment of a Victorian family town house. The most striking feature is the succession of living spaces. 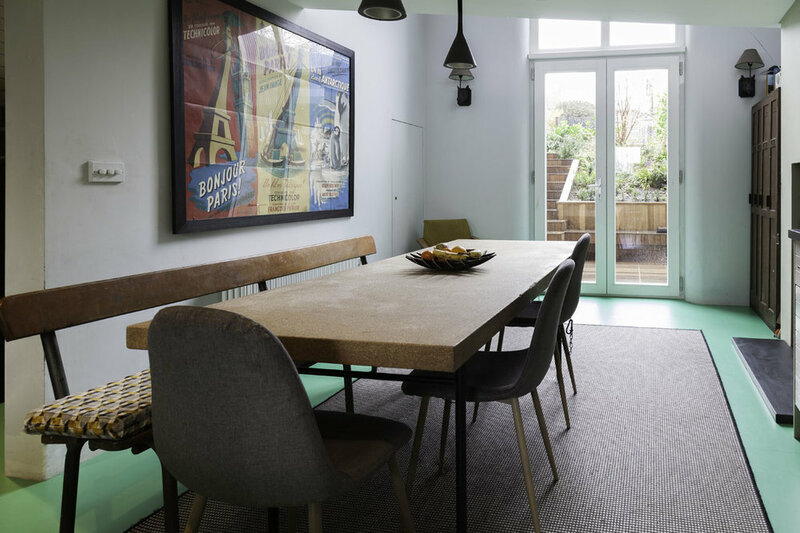 A basement open-plan kitchen leads to a double height dining area with a glass fronted mezzanine, set back at ground floor level. Both spaces enjoy a marvellous view of a split-level landscaped garden through a 5m tall picture window. 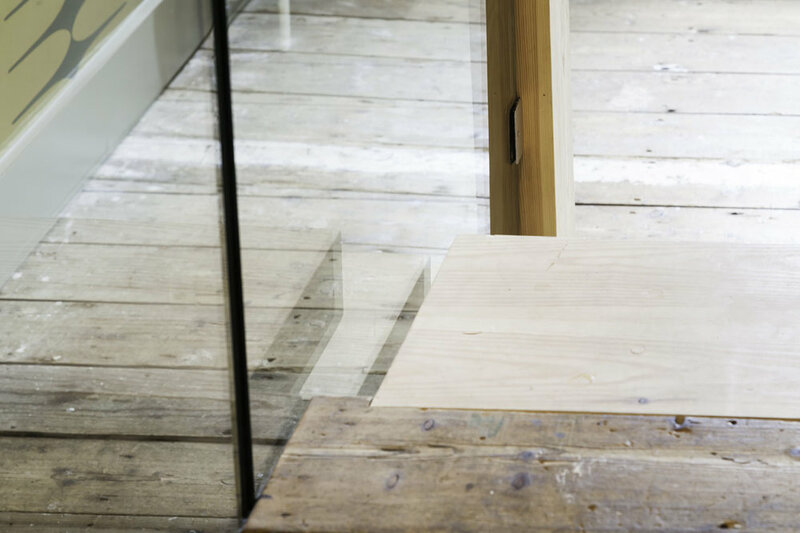 The property underwent a complete refurbishment with a characterful yet contemporary aesthetic. The powder blue facade references the seaside and is notable with grey aluminium composite windows and full- size glass panels within deep rendered reveals. 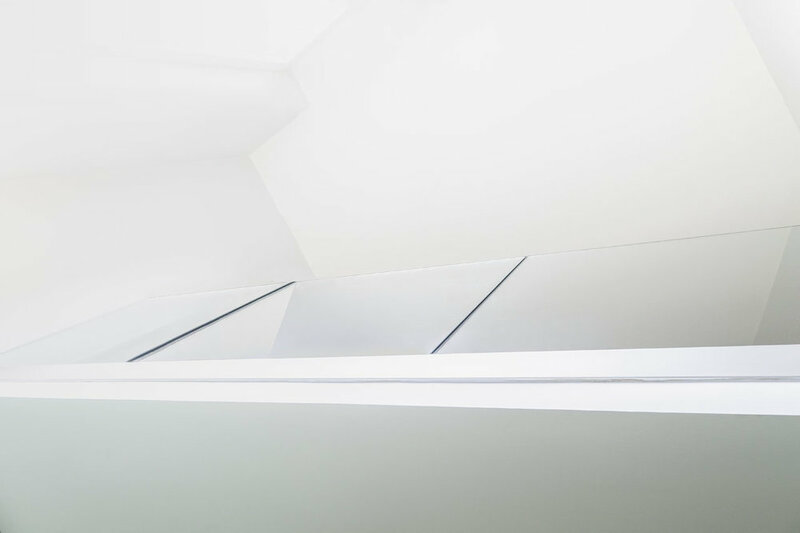 Featured throughout the property, they improve acoustic and thermal performance, whilst contrasting with an original, restored stained glass window. Exposed brickwork to the rear complements the garden. The client encouraged rich colour and texture, reflecting her theatrical past. 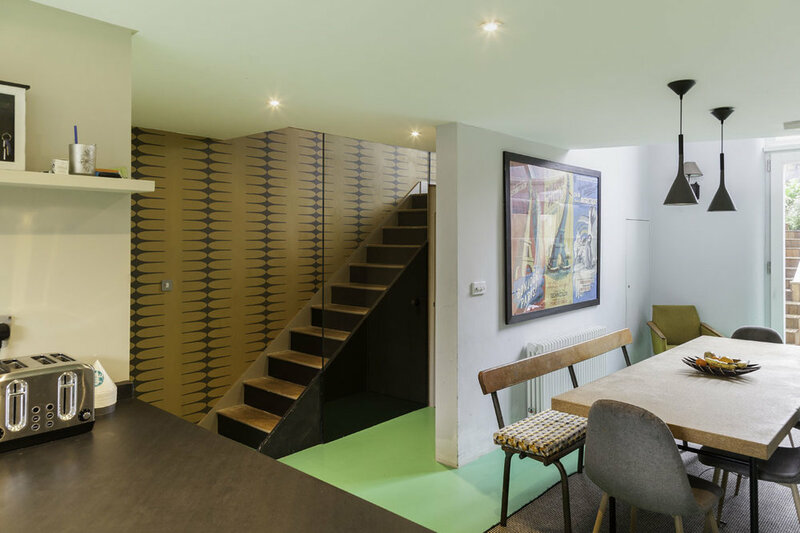 The basement's bright rubber flooring; varnished reclaimed floor boards of the upper levels; contrasting colours of the staircase complementing wallpaper; a perfectly fitted runner and the stair's scarred, exposed underside. 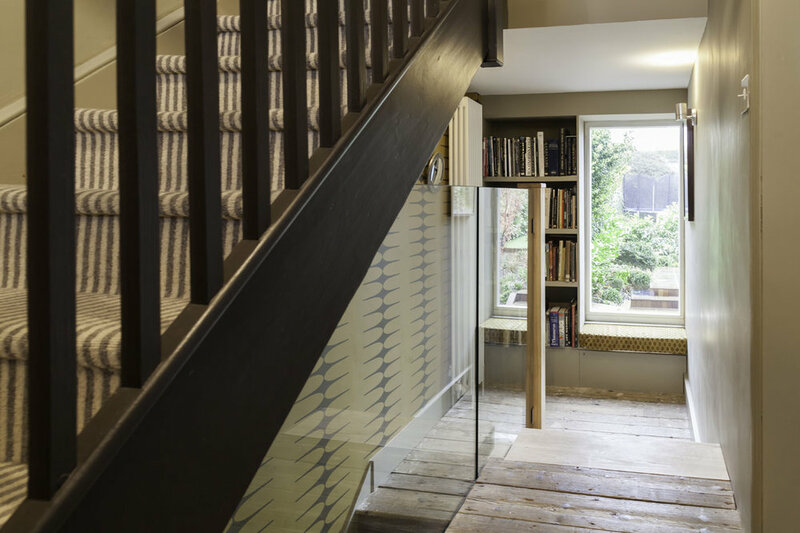 A glass balustrade leads from ground to basement level via a set of cantilevered floating steps, connecting old and new. The bathrooms, practical for a young growing family, still provide luxury: huge glass-sided walk in showers and mixing contrasting materials on walls and floors. 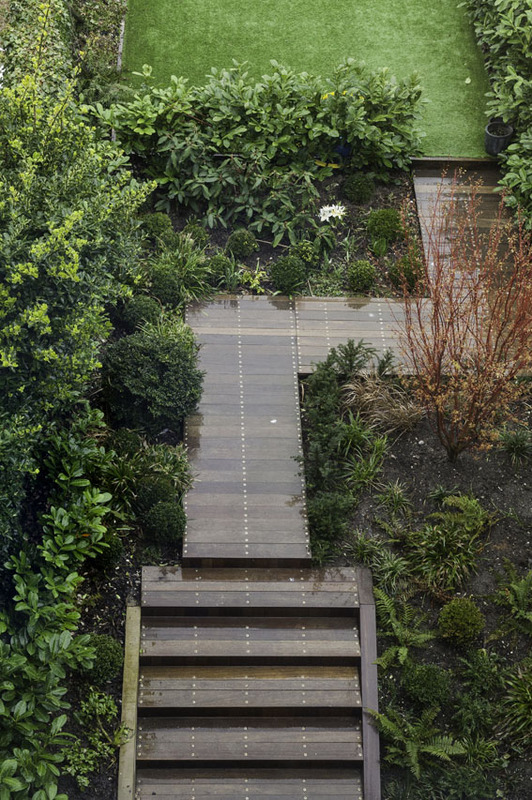 Cushioned window seats allow views of a contemporary garden with wood-lined terracing incorporating fixed seating and deep planted borders in between pathways.